BLOOMINGTON, Ind. 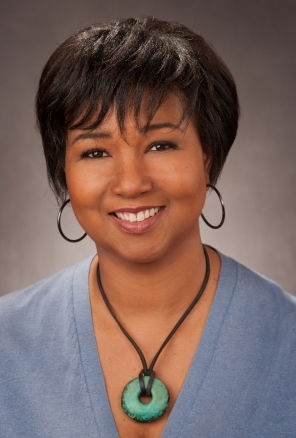 -- Dr. Mae C. Jemison, astronaut, engineer, entrepreneur, physician and educator, has been named a leader-in-residence at the Indiana University Kelley School of Business, serving as its Poling Chair of Business and Government, for this academic year. Jemison leads 100 Year Starship, a global initiative to ensure that the capabilities for human travel beyond our solar system to another star exist within the next 100 years. Seed-funded through a competitive grant from the Defense Advanced Research Project Agency, the initiative uses the difficult challenges of human interstellar travel -- technical, social and economic -- as a springboard to foster transformative innovation to benefit life on Earth. The first African-American recipient of the Poling Chair, Jemison will stimulate discussion in the areas of leadership, the critical interactions between the private and public sectors in matters of economic growth, technology research and development, and sustainability. The Poling Chair was established in 1993 by the late Harold “Red” Poling, a Kelley School alumnus and Ford Motor Co. chairman and CEO from 1985 to 1994. Deepender Hooda, a Kelley School alumnus and a member of India’s parliament, held the position last year. Jemison will make periodic trips to the Kelley School in Bloomington and Indianapolis, where she will interact with students and faculty, including an upcoming visit the week of Oct. 3. She will speak at 4:30 p.m. Oct. 6 at the Hutton Honors College, 811 E. Seventh St. in Bloomington. "We’re thrilled Dr. Jemison will serve as our Poling Chair this year. She’s quite an amazing person -- a physician, a former Peace Corps medical officer, an astronaut, a dancer, a professor and an entrepreneur," said Idalene “Idie” Kesner, dean of the IU Kelley School of Business and the Frank P. Popoff Chair of Strategic Management. "She has many unique perspectives, and I’m sure she will engage our students and faculty in many interesting discussions." "I am honored to serve as the 2016-2017 Poling Chair of Business and Government," Jemison said. "I look forward to working with students at Indiana University and its Kelley School of Business on understanding the vital connections between the physical and social sciences, as well as culture and art, to problem solve and create robust solutions." The first woman of color in the world to go into space, Jemison served six years as a NASA astronaut. She founded two technology companies and the nonprofit Dorothy Jemison Foundation for Excellence, which develops and implements STEM education curricula. Jemison was a professor of environmental studies at Dartmouth College. A physician, she was the Area Peace Corps Medical Officer for Sierra Leone and Liberia and also practiced medicine in the United States. Jemison is a member of the National Academy of Medicine, serves on Fortune 500 boards and has received numerous awards and honors, including election to the National Women’s Hall of Fame. She was voted as one of the top seven female leaders in a presidential ballot national straw poll and was the first astronaut to appear on "Star Trek." Jemison graduated from Stanford University with a B.S. in chemical engineering while fulfilling the requirements for an A.B. degree in African and Afro-American studies. She received her M.D. from Cornell University Medical College. Previous Poling Chairs have come from both the public and private sectors. They include Elizabeth Acton, retired chief financial officer of Comerica and a former vice president and treasurer of Ford Motor Co.; Bob Eckert, then CEO of Mattel Inc.; Ronald Dollens, former president and CEO of Guidant Corp.; Samuel K. Skinner, former U.S. secretary of transportation and chief of staff to former President George H.W. Bush; former Sen. Evan Bayh, who taught before his election to the U.S. Senate; Randall L. Tobias, chairman emeritus of Eli Lilly and Co., former vice chairman of AT&T Corp. and former chair of the IU Board of Trustees; Frank Popoff, former CEO and chairman of Dow Chemical Co.; Dale Pollak, chairman and founder of vAuto Inc.; Gen. Peter Pace, former chairman of the Joint Chiefs of Staff; and Cie Nicholson, senior vice president and chief marketing officer for Softcard, a mobile wallet joint venture of AT&T, Verizon and T-Mobile that was acquired by Google.